IceCube as a three-dimensional air-shower array covers an energy range of the cosmic-ray spectrum from below 1 PeV to approximately 1 EeV. 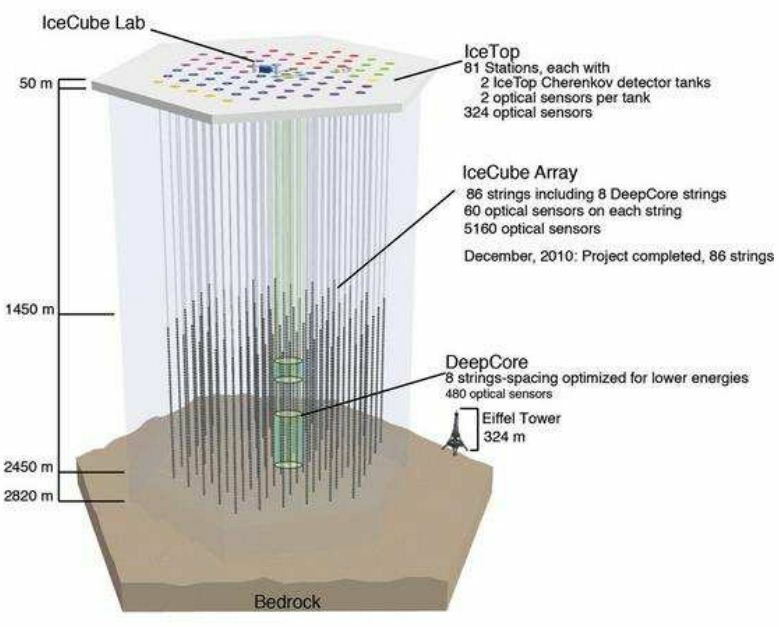 This talk is a brief review of the function and goals of IceTop, the surface component of the IceCube neutrino telescope. An overview of different and complementary ways that IceCube is sensitive to the primary cosmic-ray composition up to the EeV range is presented. Plans to obtain composition information in the threshold region of the detector in order to overlap with direct measurements of the primary composition in the 100-300 TeV range are also described…. This entry was posted in High Energy Physics, NUCLEAR ASTROPHYSICS and tagged IceCube. Bookmark the permalink.